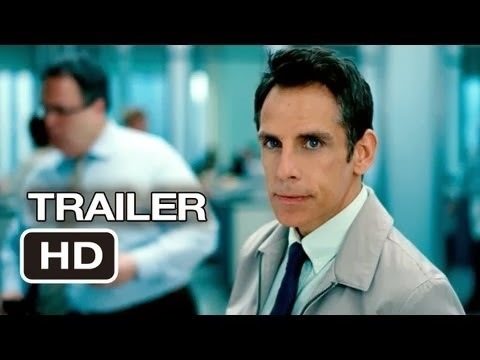 Watch the official theatrical trailer of hollywood movie "The Secret Life Of Walter Mitty" starring Ben Stiller, Kristen Wiig, Shirley MacLaine, Adam Scott, Kathryn Hahn and Sean Penn. Watch the official theatrical trailer of hollywood movie "The Secret Life Of Walter Mitty" starring Ben Stiller, Kristen Wiig, Shirley MacLaine, Adam Scott, Kathryn Hahn and Sean Penn. The secret Life of Walter Mitty is Directed by Ben Stiller under banner of Twentieth Century Fox. In his secret life, Walter Mitty (Ben Stiller) dreams big...really, really big. There's no challenge beyond his grasp, be it climbing a massive glacier or rescuing a senior citizen from an exploding building. When he's not daydreaming, the not-so-secret life of Walter Mitty is the opposite of his heroic alter-ego's; he's just an everyday guy facing imminent career downsizing, who's too timid to ask out his pretty co-worker (Kristen Wiig). But when Walter faces his ultimate real-world test, he springs into action on a global adventure exceeding anything even he could have dreamed of.